The Galaxy Note 7 could have been the greatest smartphone of all time. But the flaw in the manufacturing process has killed all the potentials. Samsung is forced to recall all of its new phablets. In this article, you will find the exchanging or getting refund Galaxy Note 7 info. 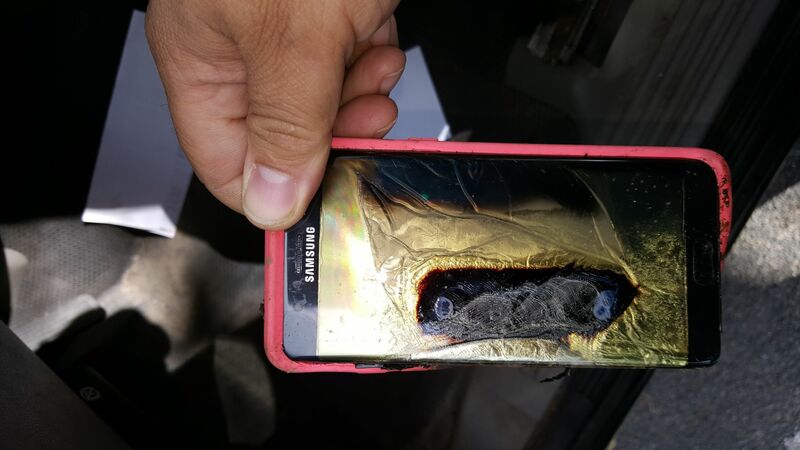 During the last several months, a number of Galaxy Note 7 got burned. Some of the incidents caused serious damages. As a result, Samsung decides to recall all the devices worldwide. But when the batteries of some of the recalled devices start to burn, the Korean company is forced to stop the production of the Note 7 permanently. So, if you are a Note 7 owner, you must stop using the device and approach to Samsung or the retailer from where you make the purchase for an exchange for a different model. If you are living in the US, call Samsung at 1-800-SAMSUNG to make the exchange or get further Galaxy Note 7 info. If you want to exchange it for another model, you will get up to $100 bill credit. Yes, it might not be worth of the inconvenience that you are facing. But Samsung is doing this to appreciate your patience. If you want to get a refund, call 1-844-365-6197. If you make the request, you will be provided with up to $25 bill credit from select retail outlets and carriers. Samsung knows that its Note fans have suffered a lot due to the highly controversial battery burning issue. As a result, the company is rumored to offer the upcoming Galaxy S8 to the Note 7 owners for free via a new exchange program. According to the latest news reports on Galaxy Note 7 info, the exchange’s cost will range from zero to a small fee, depending on the time of trading the defective device. So, it will be really effective for all the owners. This is the end of the article. Keep in touch with us to find more Galaxy Note 7 info.